Sandra Millard will serve as interim vice provost and director of libraries, effective Sept. 1. 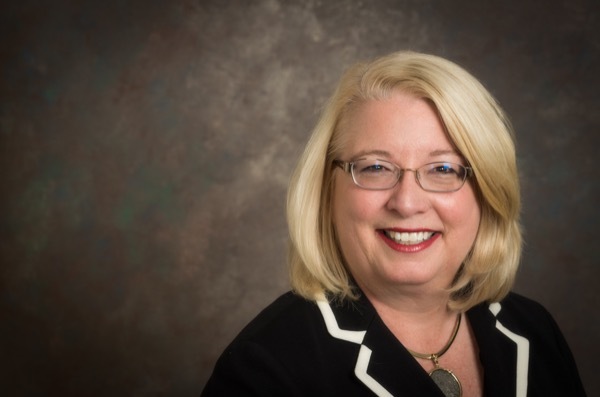 9:30 a.m., June 30, 2015--Sandra Millard, associate university librarian for services, outreach and assessment at the University of Delaware, has been named interim vice provost and director of libraries, effective Sept. 1. Millard will succeed Susan Brynteson, who recently announced her plans to step down from leading the University of Delaware Library after more than 35 years. Upon her retirement, Brynteson will become May Morris Librarian Emerita. The vice provost and director of libraries reports to the provost and works closely with administration, faculty and students to provide leadership and resources that enhance research, learning and service at the University. All of these efforts are aligned in response to the rapidly changing and information-driven academic environment and help promote the global visibility of University programs. “Dr. Millard is a strong leader whose many distinguishing attributes include her years of high-level university library administrative experience involving a wide variety of services and programs,” said Provost Domenico Grasso. Millard joined the University of Delaware in 1987 and later became associate University librarian for services, outreach and assessment. One hallmark of her tenure has been the creation of UDLib/SEARCH, a state-supported collaboration between the University of Delaware Library and all Delaware K-12 schools. Underwritten by the state’s Department of Education since 1997  and currently funded at more than $600,000  UDLib/SEARCH provides access to electronic journals and encyclopedias, and teacher training to all public K-12 schools in Delaware. During the past 10 years, Millard has led major renovations of library space, including the $1.5 million Student Multimedia Design Center, Unidel-funded projects to refurbish and enhance the large Morris Library Information Room and 31 group study rooms. Prior to her arrival at Delaware, she held professional library positions at the University of Connecticut Health Center Library, where she was head of information services, and co-directed Healthnet, a statewide consumer health network. She also worked at Yale University Medical Library and at St. Peter's Medical Center, in New Brunswick, New Jersey, where she was a pediatric clinical librarian and participated in family centered pediatric grant development. She holds a doctorate in educational leadership from the University of Delaware, a master’s degree in library science from Rutgers University and a bachelor’s degree in education from Bloomsburg University in Pennsylvania. She attended the Harvard Leadership Institute for academic librarians. Millard chaired the Governor’s Task Force on School Libraries. She is a member of the American Library Association, the Library Administration and Management Association and the Library Information Technology Association. The process to find Brynteson’s permanent successor will get underway later this summer. The University will conduct a national search to identify a talented and diverse pool of candidates for consideration. “Higher education is rapidly changing, and we will gather the resources to select a collaborative leader who can position the library toward even greater excellence and meet these demands in new ways,” said Grasso. A search chair and committee will be named at a later date.